We’re trying something different for the Masters this year: That’s right, we’re adopting an official favorite golfer for the B.S. Report and Grantland! The big winner? 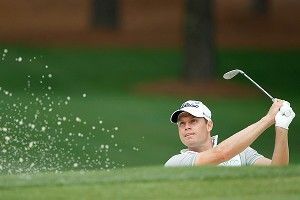 Nick Watney, who recently beat Tiger in a match play tournament. He came on the podcast to discuss his Augusta chances, playing against Tiger, living in Vegas, whether his wife had ever practiced crying after he won a tournament, who was a bigger sellout for leaving Boston for L.A. (me or his cousin Heidi), and much, much more. You’ll be rooting for him this weekend after listening. You can listen to this podcast on iTunes or on the ESPN.com Podcenter. Subscribe to the B.S. Report and the Grantland Network on iTunes. About Last Night: Bienvenido A Miami!